For small practices with limited staff, maintaining compliance with the rules and regulations placed on medical practices by state and federal agencies can seem daunting. One way for a practice to make sure it meets these requirements is by using a step-by-step methodology, such as with Occupational Safety and Health Administration (OHSA) compliance. OHSA requires that businesses meet an exhaustive set of worker safety standards in order to become compliant. The shear scope and size of these guidelines can overwhelm practices of every size. OHSA guidelines relate to all aspects of the healthcare workplace and cover issues as diverse as creating an ergonomic environment to the prevention of exposure to blood-borne pathogens. Meeting the standards set by OHSA guidelines can be challenging for someone who isn’t versed in the highly technical, non-healthcare specific language in which the administration’s guidelines are written. This can make it tough for practices to fully understand what the requirements mean and how to apply them in specific settings. Depending on a practice’s resources, it may be necessary to seek out assistance from experts in the field. There are a variety of available resources, including software programs that highlight pertinent requirements to consulting firms that provide an overview of a practice’s compatibility with existing guidelines. By utilizing these tools, a practice can clearly identify the any areas of noncompliance and where the most glaring improvements need to be made. While it’s tempting for a small practice to think they cannot afford outside assistance in meeting regulations, utilizing these types of resources may actually be more cost-effective in the long-term. The alternative is to hire additional staff specifically to handle compliance, which can be quite expensive in comparison. A great place to start is to create a written health and safety plan, also commonly known as an injury and illness prevention program. While not quite to the level of federal law, many states do require this type of plan, and it definitely makes sense to have one in place. The plan should detail how your practice will manage OSHA compliance, including how you plan to analyze the practice for areas in need of improvement, implement control and prevention strategies and provide all necessary training of your staff. Another policy you should consider developing is a written exposure control plan, a vital element in blood-borne pathogen compliance, an area many smaller medical practices struggle to meet. This document should outline how your practice plans on protecting its workforce from exposure and what the planned response is should an employee become exposed. For written health and safety plans and for exposure control plans, you can find resources that can help you with the creation process. You or your staff member in charge of creating these documents doesn’t need to be an OSHA expert. While creating a documented outline of how you plan on meeting OSHA compliance standards makes a great start, don’t forget about the need to satisfy OSHA’s training requirements as well. OSHA requires practices to train their staff on specific topics every year. Some key topics to address are how to create and operate in a healthy and safe environment, when and how to use personal protective equipment, and how to prevent inadvertent exposure to harmful pathogens and chemicals. Finally, make sure you monitor compliance to ensure your staff doesn’t end up slipping back into poor habits or let new policies lapse. OSHA requires organizations keep their policies and work plans current, and how recently these policies have been updated in one of the first things an OSHA auditor will examine. Consider implementing a system where you review and update existing training programs and policies every six months. Local Fresh can assist your practice in meeting OSHA’s digital demands. From online form submission to securing your website’s security, Local Fresh offers our medical clients the kind of experienced partner they need to stay OSHA compliant. 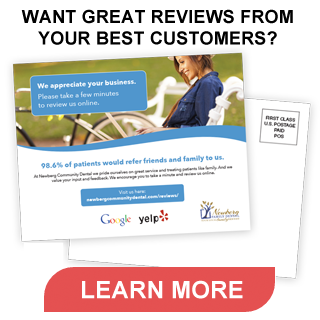 Click here to find out what Local Fresh can do for your medical practice. Get FREE tools and best practices from Local Fresh. You'll also receive our Local Business Marketing Crash Course.